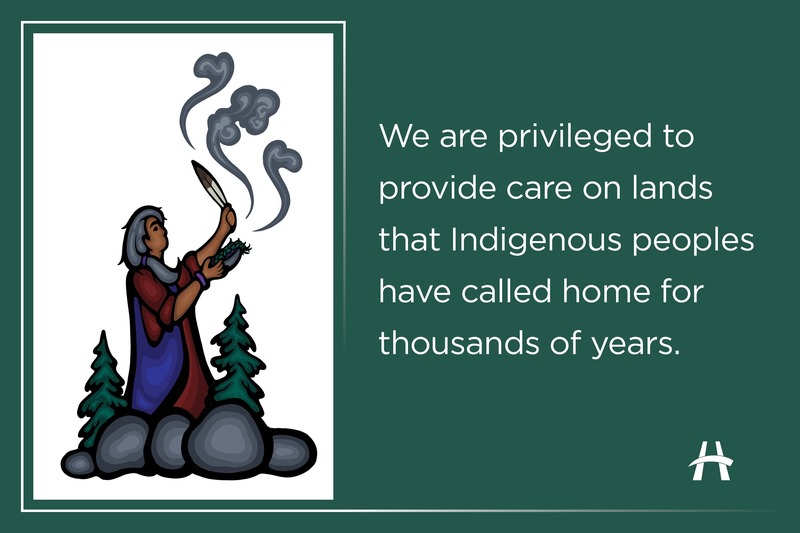 At Hamilton Health Sciences, we are privileged to provide care on lands that Indigenous peoples have called home for thousands of years. This page contains information about how we support Indigenous patients and families in our hospitals and centres. Providing support at clinic visits. Helping patients and families communicate with members of their healthcare team, like doctors and nurses. Arranging language and cultural translation services. Helping patients connect with traditional Aboriginal healers. 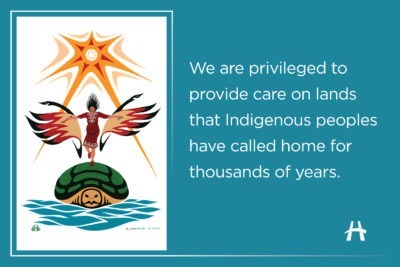 Our Aboriginal Patient Navigator program is available to patients and their family members who self-identify as having Aboriginal ancestry or as being part of an Aboriginal family. You can learn more about this service by reading the Aboriginal Patient Navigator program brochure, or by calling the De dwa da dehs nye>s Advocacy & Outreach Services at 905-544-4320 ext. 242. 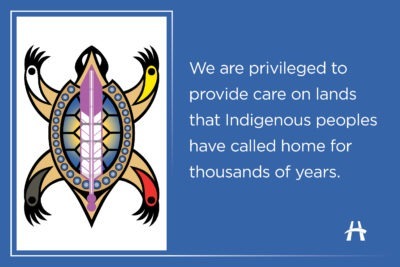 We also have an Aboriginal Patient Navigator at the Juravinski Cancer Centre (JCC) to support Aboriginal patients and their families through their cancer journey. 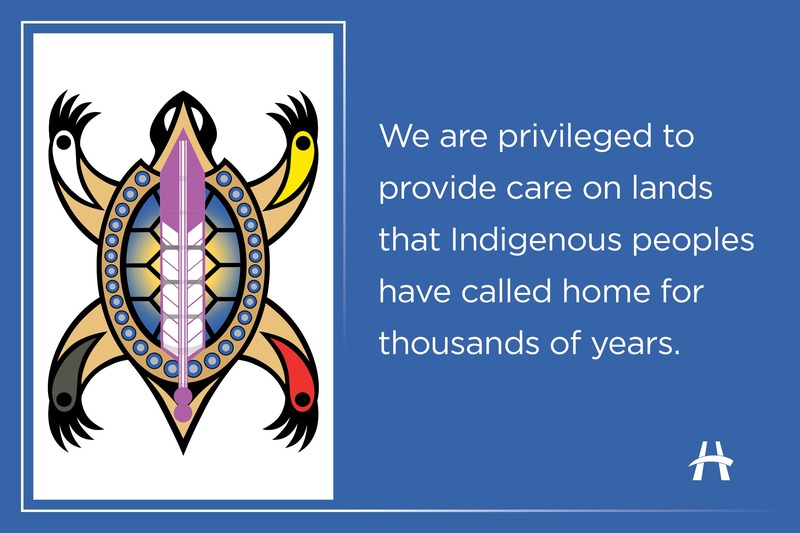 The JCC Aboriginal Patient Navigator is available Monday to Friday from 9 a.m. to 5 p.m.  For a referral or for more information about this service, please call 905-521-2100 ext. 64315. 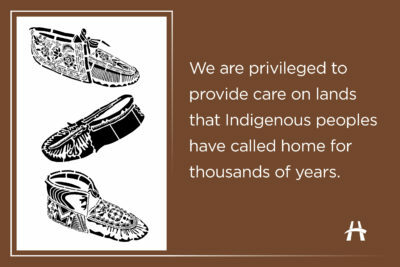 We are privileged to provide care on lands that Indigenous peoples have called home for thousands of years. We recognize and respect the presence and stewardship of all Indigenous peoples as keepers of this land. In 2014, Makayla Sault, was diagnosed with Leukemia and came to MCH for treatment. Her decision to stop chemotherapy because of severe side effects became the centre of a heated national debate, which her family describes as traumatic. But she was firm in her decision and fought for her wishes, which were ultimately honoured. She bravely continued to receive both Western and Traditional Indigenous healthcare services. She died peacefully at her home on the Mississaugas of the Credit First Nation in 2015. Makayla’s Room was unveiled at MCH in 2018 in her honour, and as part of Hamilton Health Sciences’ on-going commitment to reconciliation efforts. HHS has collaborated with Indigenous leaders and artists to create Signs of Welcome displayed at our sites. Each sign features an image from a local Indigenous artist and includes the opening sentence of HHS’ land acknowledgement statement. The image of an Elder with a smudge bowl and eagle feather has been adapted by artist Jay Havens from the mural he created for Makayla’s Room at McMaster Children’s Hospital. Jay Havens is a multi-disciplinary artist of Haudenosaunee-Mohawk and Scottish-Canadian ancestry and a proud member of the Six Nations of the Grand River, Mohawk Bear Clan. The image of three moccasins is adapted from artwork created by Philip Cote for the Moccasin Identifier Project, founded by Carolyn King, former elected Chief of the Mississaugas of the Credit First Nation. The project aims to create a visual reminder to recognize and honour traditional territory of Indigenous peoples. Some of these images have been engraved into stone walls at Trillium Park (Ontario Place). Philip Cote is Shawnee, Lakota, Potawatomi and Ojibway from Moose Deer Point First Nation and a graduate of the Ontario College of Art and Design. Created by Tracey Anthony, Turtle and Seven Generations includes the image of a turtle. The feather on its back has seven segments, reflecting the Seven Generations principle that the decisions we make today should result in a sustainable world seven generations into the future. The four legs represent the “Four Directions” such as those found in the Medicine Wheel. Tracey Anthony’s mother is Mississauga (Ojibway) from the Mississaugas of the Credit First Nations reserve. His father was Delaware (Lenni Lenape) from the Six Nations reserve. In his artwork, Tracey incorporates Ojibway, Delaware, and Iroquoian influences. This image by Arnold Jacobs depicts Sky Woman, the mother goddess, descending to earth. Waterbirds carry her down to the sea and set her on the back of a turtle (Turtle Island) which becomes her home. Arnold Jacobs is an Onondaga artist raised within the traditional culture and language of Six Nations of the Grand River territory, where he resides with his family. His works are an expression of his connection to his spirituality. His symbols of the earth and sky, water, wind, thunder, moon and sun, along with other related themes depicts the traditional ways of the Haudenosaunee, their clans and culture. Hamilton Health Sciences supports smudging in our hospitals for spiritual and ceremonial purposes. With the input and guidance of stakeholders from Aboriginal communities, we have developed a smudging policy to guide this practice within the hospital. If you or a loved one wishes to hold a smudging ceremony during your stay at one of our hospitals or centres, please speak with a member of your healthcare team who will connect you to our Spiritual Care team for support.